You get your shopping feed in the Google Merchant Center, and then you start to create your first Google Shopping Campaign. 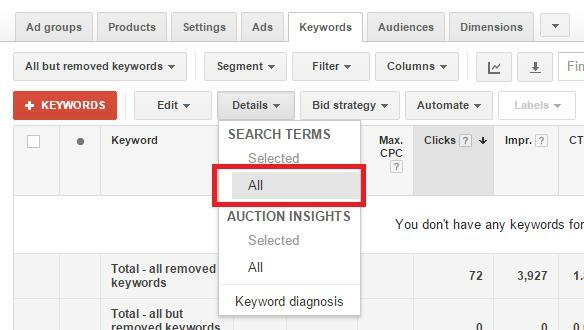 Everything is in place, and then you realize, there is no place to bid on specific keywords for Google Shopping. How could this be possible? How will Google know what searches to display Shopping ads for? Fear not, Google Shopping does not just randomly generate your ads based on its whims. Your feed acts as your keywords. Google matches the item information you have in your feed dynamically with user search queries. 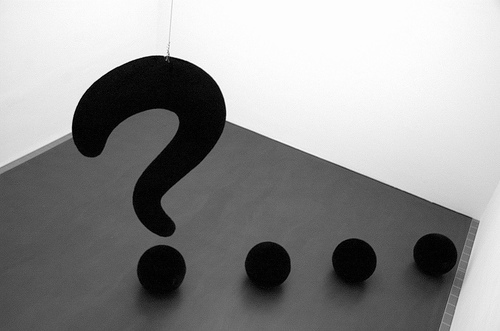 The more specific the information you provide within the feed is, the better Google can match search queries. There are limitations to these capabilities, however, and Google doesn’t always pick the most relevant search queries. Again, fear not; there is a tool to help you with this as well. 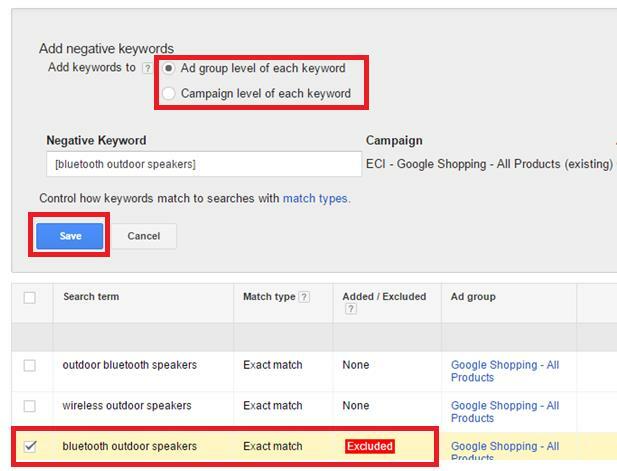 Within the “keywords’” tab in a Google Shopping campaign, you can access a user search query report. This report shows you what queries triggered your ads, as well as a wealth of other information such as clicks, impressions, cost, and total conversion value (normally associated with revenue). If you see a term that is not relevant or is spending too much, you can control it by adding it as a negative keyword. This gives you more control over the exact search queries you are showing for, without the struggle to develop a list of successful keywords. 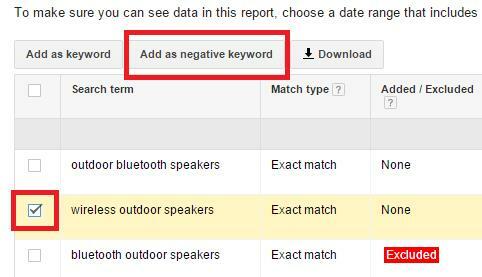 Now that you know you can better control your feed through the use of negative keywords, you can optimize around your goals for Google Shopping! At Exclusive Concepts, our Google Shopping Management team often uses total cost over time, cost/conversion, and return-on-ad-spend as qualifiers for optimization. If a particular search query has many conversions and a profitable return on ad spend, we would suggest optimizing item titles and descriptions to better match those keywords. If another search query has a lot of traffic, but not enough value to justify the costs, that is a clear sign to add it as a negative keyword. Our Google Shopping Management team always suggests erring on the side of caution when it comes to adding negatives. You never know what search queries will convert, even if they name one of your competitors!